Naturally lustrous and eco-friendly! 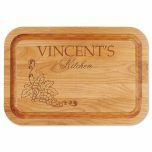 Crafted of sustainable bacteria-resistant hardwood, 11 x 16"W cutting board will not nick or dull your cutlery and, trench border catches juices as meat is carved. 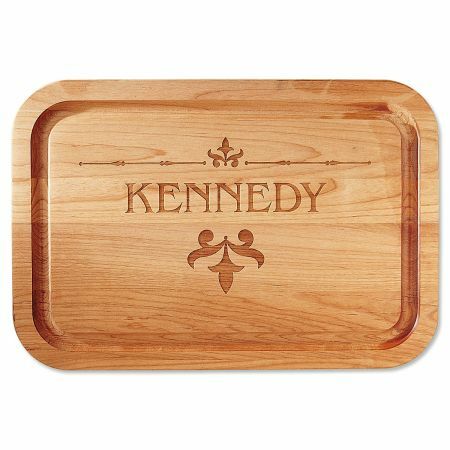 Pretty design combines with your etched name to create a unique piece for your kitchen; makes an impressive gift, too. Wash with warm soapy water, dry immediately. Not dishwasher or microwave safe. Proudly made in the USA.